See in Glossary The Material used to render the text. See in Glossary) have textual descriptions built-in. 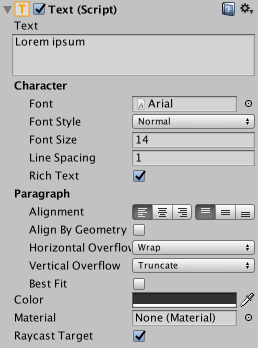 For controls that have no implicit text (such as Sliders), you can indicate the purpose using a label created with a Text control. Text is also useful for lists of instructions, story text, conversations and legal disclaimers.